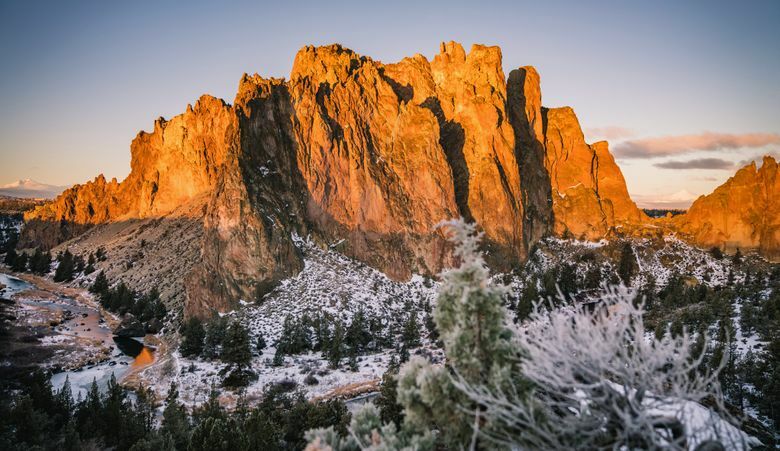 Snow fun, ice skating, ubiquitous beer and a world-class museum warm up the cold months in Central Oregon. 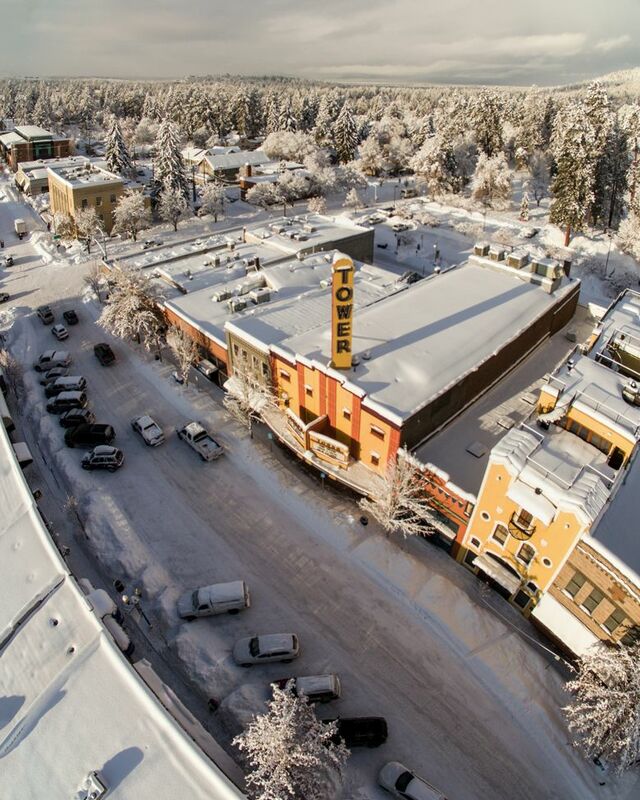 BEND, Ore. — If you’re a winter sports aficionado, you’ll love Bend. You’ll want to move there. You’ll miss it when you get home. If you hate snow, you’ll also fall in love with Bend because it’s sunny and it’s a friendly, mellow outdoorsy place where people usually have a dog and a bike and a kayak and a snowboard and a closet of fleece jackets. Plus, you gradually realize that you’re the most obnoxious driver in town, most stores have a jar of dog treats on the counter and the local brewpubs hire the best chefs they can find. And at certain gas stations, in a state that doesn’t trust you to pump your own gas, you can load your car with glass jugs of local draft beer. 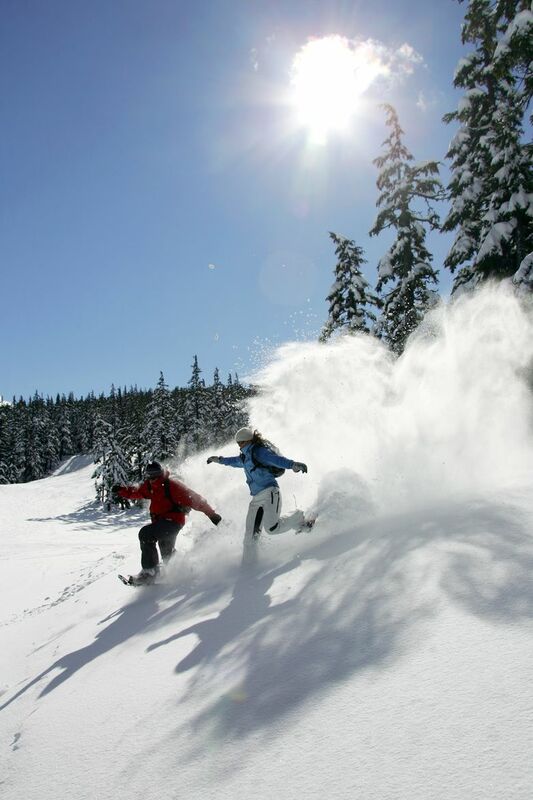 Officially, the average winter snowfall in Bend (elevation 3,625 feet) is a little under 2 feet (which falls mostly December through February) versus the 30 feet that falls on the ski slopes of Mount Bachelor (elev. 9,068), just 22 miles to the west. However, snowfall last winter was epic. When I visited in late October, people eagerly produced smartphone photos of 4-foot-long icicles hanging from gutters, and yeah, they admitted it was hard to get around for a couple of weeks. Or maybe it was six weeks. But that was unusual. Generally, there are only about five days each winter when snow makes travel difficult. 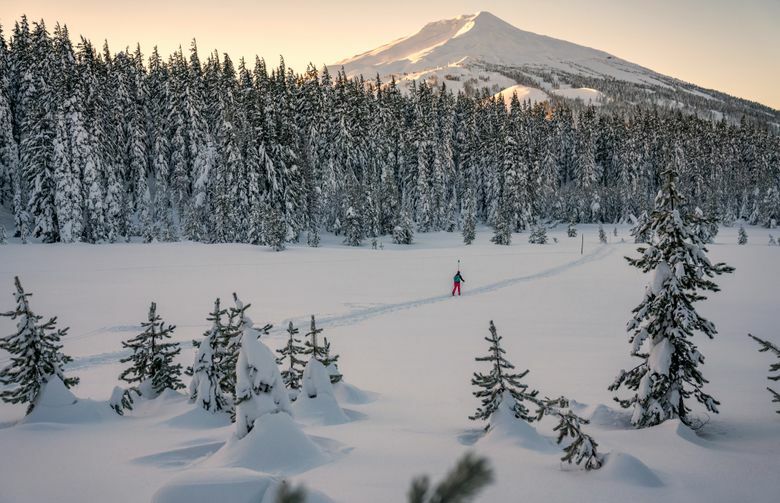 People go west of town to ski or snowboard at Mount Bachelor or cross-country ski on miles of trails on U.S. Forest Service land. 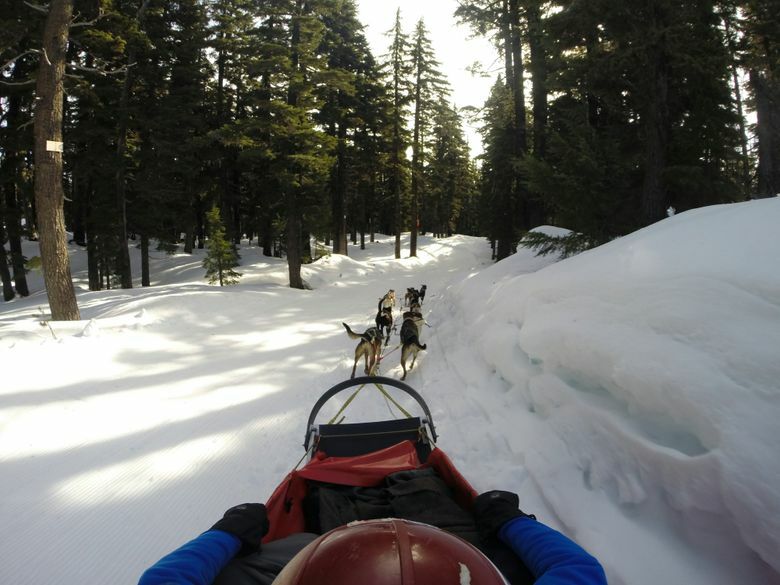 You can also whoosh away in a dog sled pulled by a pack of exuberant canines (Mount Bachelor) or take a one-horse open sleigh ride (Sunriver Resort). If not everybody in your entourage wants to ski/snowboard, drop the snow lovers at the Bend Park-N-Ride to catch the Mount Bachelor Shuttle up to the mountain (25 minutes; $9 round trip) while the rest of you explore around town. 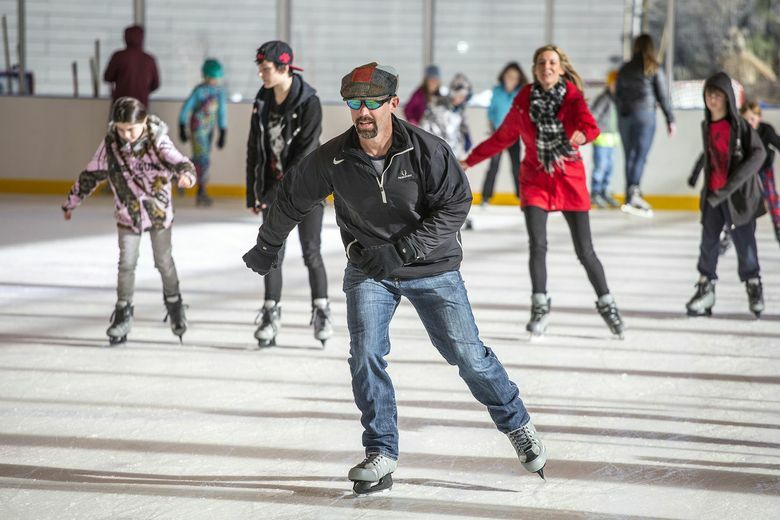 Ice skate at Bend Parks and Rec’s huge, open-air (but covered) Pavilion rink, tour local breweries, shop or explore local history and wildlife at a world-class museum. For something different, walk through Lava River Cave (temperature about 42 degrees year-round) in nearby Newberry National Volcanic Monument, or try snowshoeing. Bend-based Wanderlust Tours will do the driving on one of their half-day cave, snowshoe or brewery tours (daily, four-person minimum, equipment provided, $55-$95). If you forget your boots or waterproof pants, you can rent them for another $5-$10. You can even go on a moonlit snowshoe tour and end at a bonfire. Several golf courses are open in Bend throughout the winter and you can rent bikes and other outdoor equipment at numerous places in town (even big-tire “fat bikes,” designed to be ridden on hard-packed snowmobile trails). If you love beer, you’ll really appreciate Bend. While trolling the Fred Meyer supermarket for a midmorning snack, I encountered an odd structure at the back of the store. It looked like … a bar. It was a bar. With beer on tap. A phone on the counter had a sign urging you to pick it up and ask for assistance. Suddenly, a congenial, middle-aged bearded man appeared out of nowhere, took his place behind the counter and asked if he could help. “Well, technically, it’s called a growler station, but yeah,” answered Jeff Bickler, slightly surprised at my astonishment. Apparently, people in Bend like beer so much that they pick up draft beer at the grocery store in 64-ounce glass jugs called growlers (a 32-ounce bottle is a growlette). According to Bickler,connoisseurs believe there’s a “radical difference” in how the draft beer tastes (plus some local varieties aren’t bottled, so are available only in draft form). The dozen or so varieties on tap at the Fred Meyer was modest compared to the 54 types available at a local Shell gas station. I sampled several varieties of cold kombucha, a slightly effervescent fermented tea. Not bad. “I joke that the average person in Bend probably has 3.8 empty growlers at home that they keep forgetting to bring in to refill,” said Bickler. I drove 10 minutes south of town to check out the 135-acre High Desert Museum. With exhibits inside and out, the daily schedule offered guided tours throughout the day. After observing a bobcat and porcupine housed in separate outside atriums (animals here have been rescued after being raised in captivity and can’t be returned to the wild), I entered the Spirit of the West exhibit for a tour of Bend’s Native American and pioneer history. From the excellent guide, I learned how early mining techniques using mercury to separate gold from the surrounding rock left the West strewn with future Superfund sites, and that chuck wagons were the invention of a man named Charles and were built by the forerunner of the Studebaker Co.
Then it was time to go outside and catch feeding time at the river-otter exhibit. 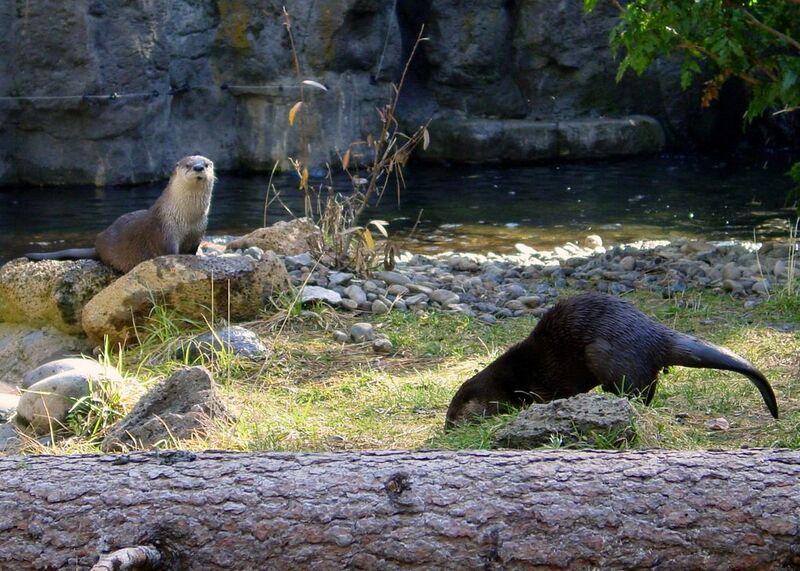 I took about a thousand bad photos of three otters swimming, begging for food, chasing each other and gamboling about their extensive enclosure. “Winter is a nice quiet time to be able to really absorb what’s at the museum,” said museum spokesman Damian Fagan. 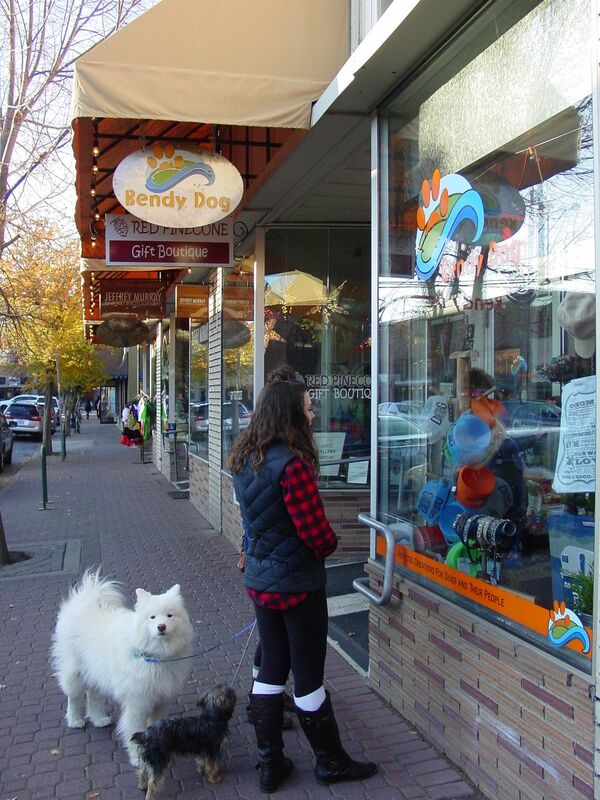 Back in Bend, I browsed shops with offerings ranging from handcrafted jewelry to prints of popular local hiking destinations to handmade bath products. I consider a place to have good shopping if it has a thriving downtown filled with shops with unique clothes and gifts, and Bend came through admirably. Just south of downtown, the Old Mill District, a former lumber-mill site along the Deschutes River, has REI and other familiar stores, along with movie theaters and restaurants. But when it came to picking up a “thank you for pet-sitting” gift for my neighbors, I headed for the recommended Broken Top Bottle Shop & Ale Café, which had glass case after glass case of bottled beer. A friendly staffer handed me over to customer Ryan Sharp, a former Seattleite who now produces a national beer competition and who selected a fine assortment of large bottles of Oregon-produced beer for me. 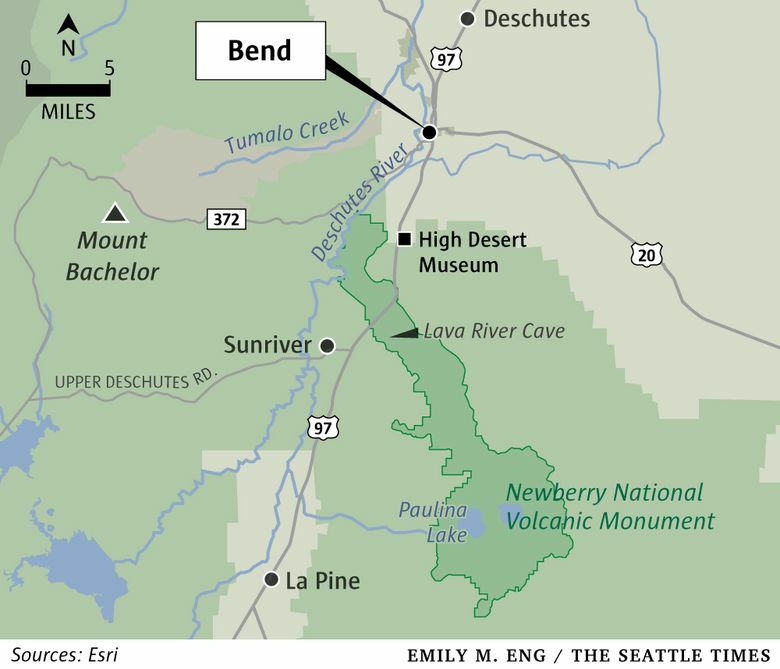 Bend is about a six-hour drive from Seattle. Start your visit downtown at the Visit Bend info center, get a city map, and ask questions (free two-hour on-street parking). Many motels are five minutes from downtown on the main north-south highway (Third Street/Business 97). For lodging across the region, see visitcentraloregon.com/where-to-stay. My favorite restaurant downtown was Wild Rose, with wonderful northern Thai cuisine (150 N.W. Oregon Ave.; wildrosethai.com). Very popular but quick turnover; the food arrived so fast I thought I got someone else’s order. • Bontà Natural Artisan Gelato is amazing (920 N.W. Bond St.; bontagelato.com). Try their seasonal flavors. Gas here is remarkably cheap. • Visit Bend info center, 750 N.W. Lava Road; 541-382-8048 or visitbend.com. • Mount Bachelor ski resort: mtbachelor.com. • Mount Bachelor Shuttle: mtbachelor.com/info/mtbachelor-shuttle. • High Desert Museum, 59800 U.S. Highway 97; 541-382-4754 or highdesertmuseum.org. • Wanderlust Tours, 541-389-8359 or wanderlusttours.com. • The Pavilion ice rink: 541-389-7588 or bendparksandrec.org/the-pavilion/schedules. • Broken Top Bottle Shop & Ale Café, 1740 N.W. Pence Lane; 541-728-0703 or btbsbend.com.